Port Commissioner John Kennedy, chair of the group, noted that Port Houston had no major impact as a result of Hurricane Harvey. Kennedy also commended the Houston Astros for winning the Major League Baseball World Series Championship. Paul Puente, Executive Secretary of the Houston Gulf Coast Building and Construction Trades Council, provided a presentation on local workforce and apprenticeship opportunities. “Houston has one of the best economies in the world,” said Puente. The Houston Gulf Coast Building and Construction Trades Council helps build an exceptionally trained and skilled workforce for the commercial and industrial construction trade industry. Other port representatives highlighted the port’s procurement process, policies and advertising initiatives. In 2016, Port Houston awarded $272 million commitments and awards to small businesses. 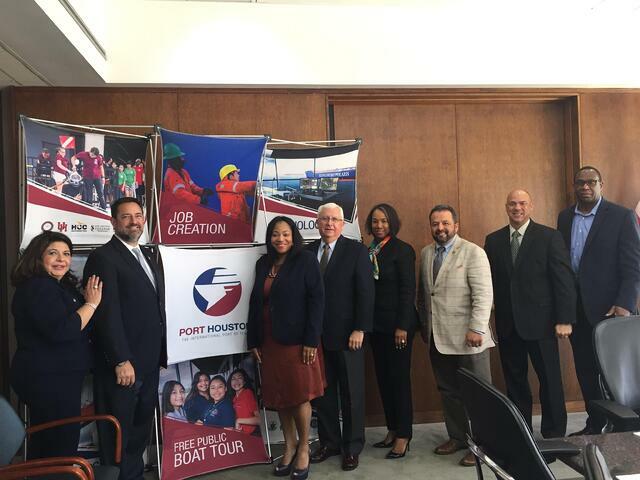 The Port Houston Small Business Advisory Council is a citizen group created to assist program council members to achieve goals, carry out procedures and make operations improvements. The 16–member council represents a broad spectrum of leaders in small business, contracting, minority and women-owned business associations, community and labor groups.